Mount St. Helens in Washington state is seen in this handout photo from the U.S. Geological Survey from the Cascade Volcano Observatory Office roof March 8, 2005 in Vancouver, Washington. 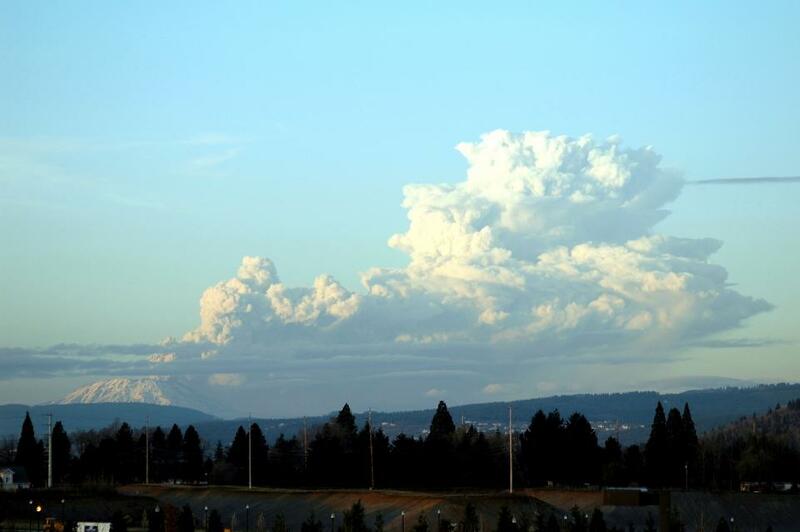 The mountain released a towering column of steam and ash thousands of feet into the air as seismic activity signaled the reawakening of the 9,677-foot mountain. The next big earthquake is due in the Pacific Northwest—but now scientists have pinpointed where along the coast a large earthquake is most likely to happen, according to a study published Monday. “We observed very compact sediments offshore of Washington and northern Oregon that could support earthquake rupture over a long distance and close to the trench, which increases both earthquake and tsunami hazards,” lead author of the study Shuoshuo Han, a postdoctoral fellow at the University of Texas Institute for Geophysics, said in a statement.